As discussed in our previous post, the CD and DVD has come to be an extremely established part of modern-day culture, and one that looks to be with us for a lot longer yet! When it comes to CDs and DVDs, each one is completely different, not just in musical genre or aesthetics, but demonstrating creative and innovative cover art and design styles over the years. CD art and design has become an extremely respected form, making a solid name for itself in the art world. So, here is the final part of our top 10 creative CD and DVD packaging design round-up! Enjoy! 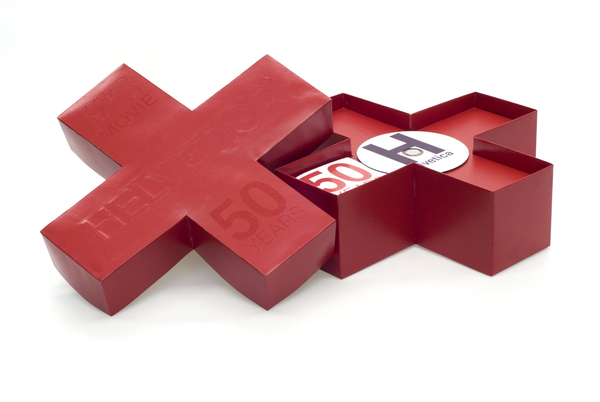 Designed by a design student, this simplistic yet classic packaging was intended for the Helvetica movie of 2007, to commemorate the font’s 50th anniversary. The all-mono box was made by hand, giving the design a luxury and one-off quality, with all in-prints made with Linoleum. In-prints were also carved and pressed by hand into the cardboard to enhance the simplistic yet contemporary overall design. 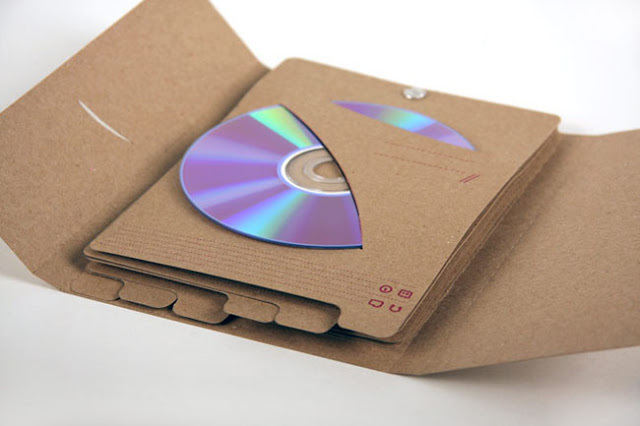 An interesting and innovative packaging concept made by a student, exploring the idea of the CD case. The packaging is made from simple recycled Kraft chipboard and printed in one colour, providing a clear and strong emphasis on the recycled and environmentally friendly attitudes it is trying to promote. The design allows a generous space for several CDs to be stored, alongside tabs for content description and notes. Clever! We all love things with a touch of history or vintage beauty, but we think this CD inside a book is literally retro-perfect! A clever yet simple idea; combining both traditional and modern methods to create a unique and coherent packaging concept. 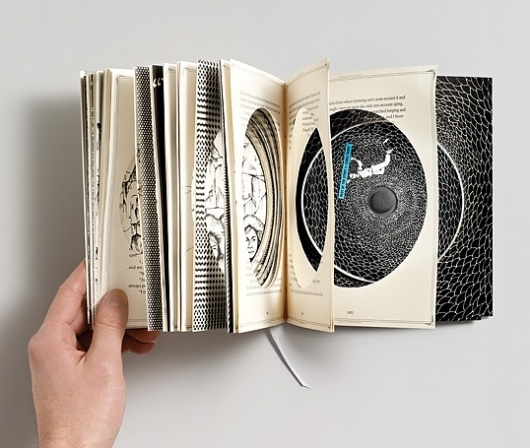 All book pages are die-cut with circular shapes, making the CD visible at every page turn. 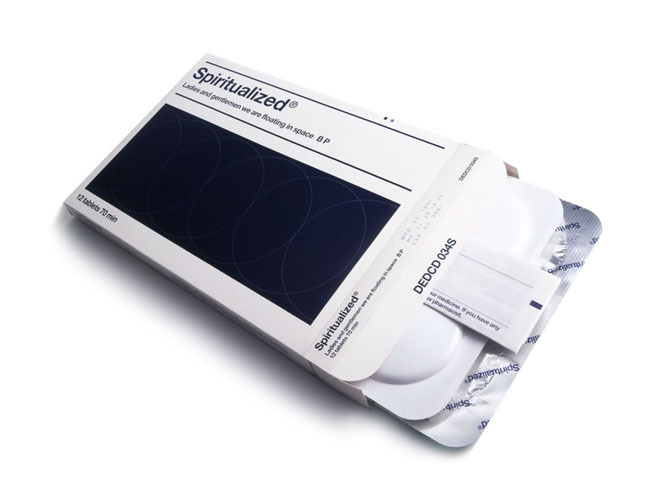 Designed to originally look like a pharmaceutical product, this clever and different CD packaging concept demonstrates many interesting design touches and ideas throughout. Each blister contained a 3inch CD featuring one of twelve tracks, which in order to be played has to be ‘popped’ through the foil. All credits were printed onto the ‘medicine information sheet’, containing warnings of possible side effects listeners may experience after hearing the band. A clever, clear and definitely effective CD packaging that we’re sure all music lovers would love to own! An alternative packaging concept for the cult-classic ‘Back To The Future’. 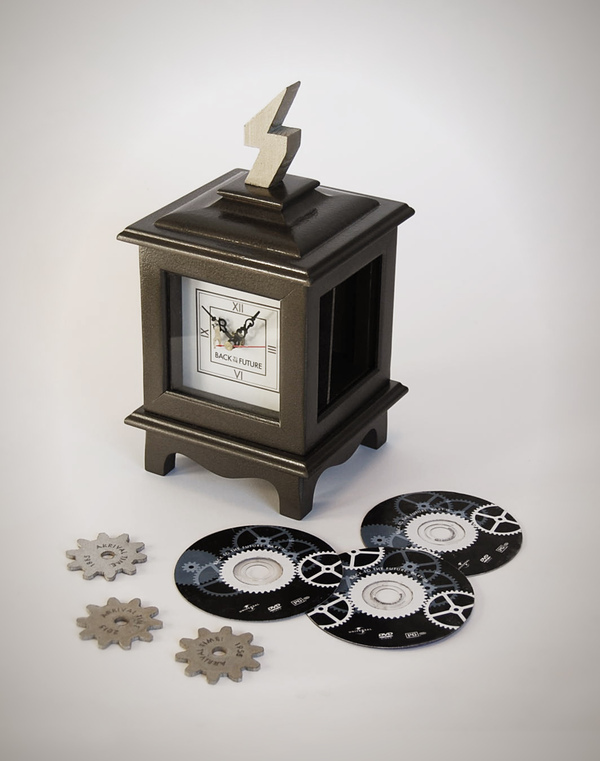 This one-off special edition concept contains the whole DVD trilogy in one hand-crafted and fully functional working clock. The detailing of the clock is perfect, complemented by three gears specifying each year of time travel. Cool, huh? The clock is also not only a functional DVD case, but a home ornament and is sure to be the must-have of all film fanatics and BTTF lovers! Here at the VDC Group, we now offer bespoke packaging options, so whatever your creative packaging concepts – we can bring them to life for you! We are proud to be one of the leading providers of CD duplication and quality replication services, and value both quality and professional customer care throughout. For more information or to get a quote, please get in contact with our friendly and creative team on 0208 963 3555 today!